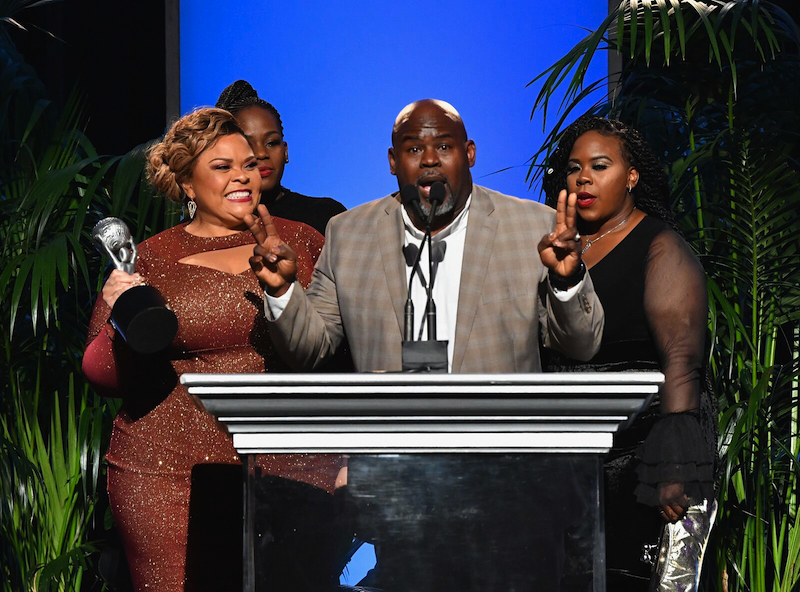 The winners of the 49th NAACP Image Awards in the non-televised categories were announced during a gala dinner celebration that took Sunday, January 14, 2018, at the Pasadena Conference Center – the event was hosted by The Real’s Adrienne Houghton, Loni Love, Jeannie Mai and Tamera Mowry-Housley. Early faith-based winners includes David & Tamala Mann for Best Reality Program/Reality Competition Series. Winners in 47 categories were announced during the event (see complete winners list below). The remaining 9 categories and Entertainer of the Year will be announced LIVE on stage during the two-hour star-studded49th NAACP Image Awards which will broadcast LIVE on TV One on Monday, January 15, 2018, the national holiday honoring the birthday of Dr. Martin Luther King, Jr., at 9pm/8c as a two-hour special hosted by Anthony Anderson. The one-hour pre-show airs live from the red carpet at 8pm/7c. This entry was posted in Gospel, Pictures, Reviews, World News and tagged 49th NAACP Image Awards, complete list, Day 1, Early Winners, winners by Kris Patrick. Bookmark the permalink.